You may think of insects as just minor irritants, but many of them have amazing powers that you would sooner expect from a superhero than a tiny bug. The orchid mantis is referred to in scientific literature as Hymenopus coronatus. It hails from Southeast Asia and is a member of the same family as the praying mantis. 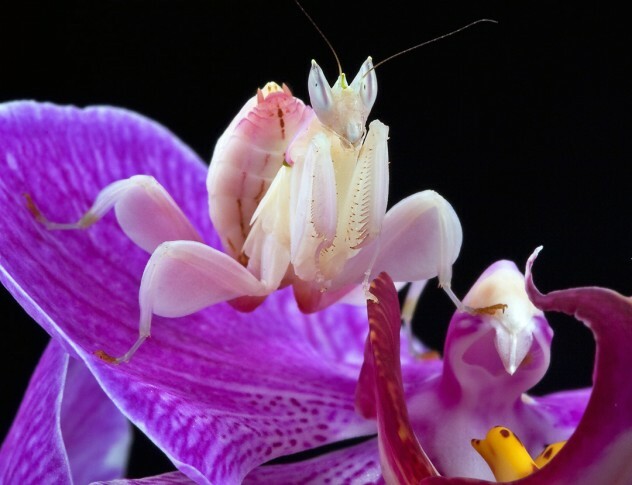 While the orchid mantis may be of the same species, it has an incredibly unique trait that is not shared by other members of its family: its amazing camouflage ability. The orchid mantis, which prefers humid and warm environments such as a rain forest, looks black and orange when it is young. However, as it grows older, its colors fade to match its surroundings. It will often have a pinkish white pattern that makes it blend in with orchids, giving it its name. They are so beautiful and their camouflage so fascinating that they have gained great popularity in North America as pets. But owners should be careful: just like all members of the mantis family, they are very aggressive predators and should be handled carefully. The pea aphid, whose scientific name is Acyrthosiphon pisum, is hated by farmers because it feeds mainly on legumes. However, scientists have recently discovered that there may be much more to this pest than meets the eye. Pea aphids acquire carotenoids from fungi and are using them to gain energy from sunlight. They use the carotenoids to produce something called adenosine triphosphate. Adenosine triphosphate, or ATP, is sort of like a molecular unit of currency used for energy transfer between cells–in this case, it turns sunlight into energy for living. 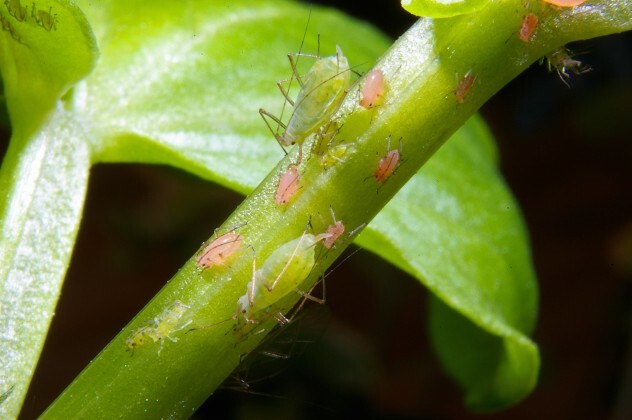 In essence, pea aphids have learned how to utilize photosynthesis, which allows them to collect energy without eating any food. The midge is also known as the Chironomidae (Diptera). Midge larvae tend to feed mostly on algae and microbes and are known for being extremely resistant to cold temperatures. They spend most of their lives as larvae, after which they seek each other out for mating purposes, often at temperatures below 0 Celsius (32 F). 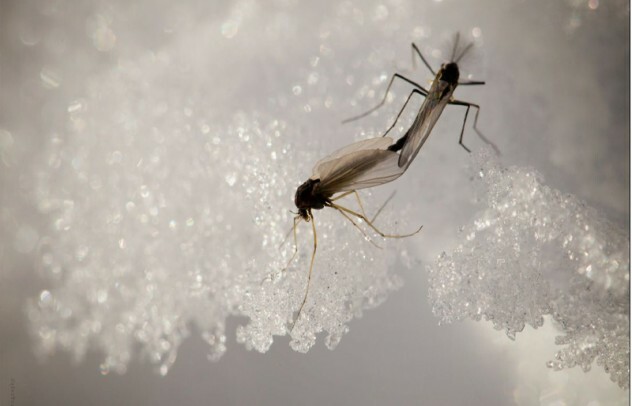 After much research, scientists are still trying to understand how these insects can consistently survive at such low temperatures. 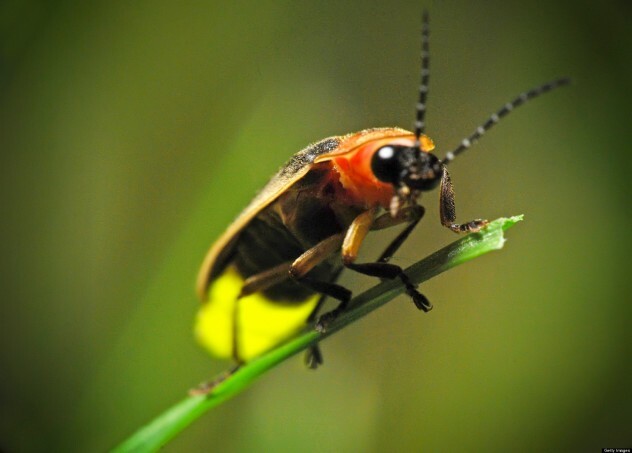 The scientific name for the firefly is Lampyridae and they are actually flying beetles of the order Coleoptera. Fireflies are well known for their flashing signals, but what makes them unique is the way they use their lights, which are very complex and made up of rings of reflector cells containing photocytes. Inside the photocytes is a protein called luciferin, an enzyme called luciferase and ATP, our friend from earlier. When all three are combined with oxygen, their lantern creates a light with no heat. Scientists are still uncertain exactly how they turn their lights on and off, or what their signals mean. However, they do know that they use them to communicate. The patterns they use need to be precise and timed perfectly for them to find a suitable mate. It is an incredibly sophisticated language for such a small insect. Scientists have been exploring insects’ ability to handle radiation for some time now, and contrary to popular belief, cockroaches are actually not that much better than humans at dealing with nuclear fallout—but the parasitic wasp Habrobracon is. It can survive 180,000 rads (degrees of radiation). In comparison, humans can only survive radiation up to about 1,000 rads. 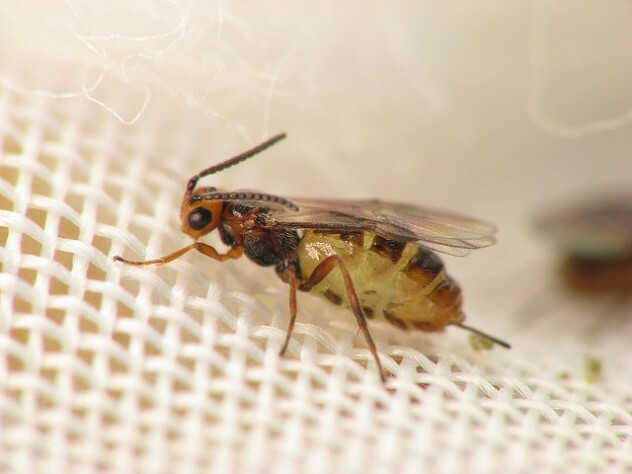 If a nuclear war takes place, it won’t be cockroaches ruling the world—it will be wasps. 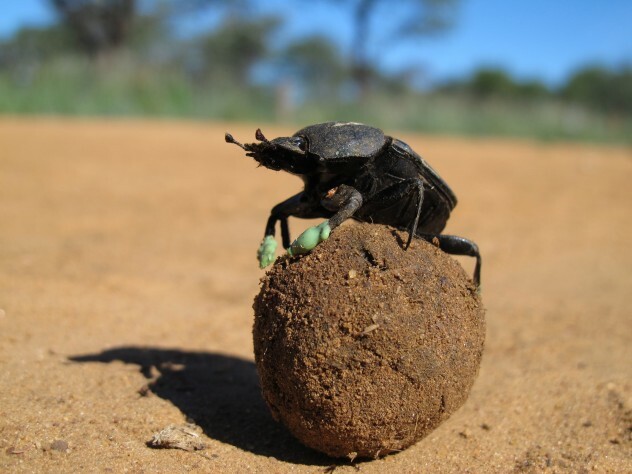 The dung beetle, scientifically called Onthophagus taurus, is primarily known for eating feces. The horned males of the species are very aggressive and known to fight head to head with each other for mates. Scientists found the dung beetle to be the strongest insect, capable of pulling 1,141 times its own body weight. For comparison, let’s consider that your average human weighs roughly 150 pounds. This means that if an average human had the relative strength of a dung beetle, they would be able to pull over 170,000 pounds. Praying mantises come from the family Mantidae. Contrary to popular belief, they are closer relatives to insects such as the termite and the cockroach than they are to grasshoppers or crickets. The praying mantis’s eyes are located 180 degrees from each other. That may sound convenient, but this placement actually makes it difficult for the mantis to take in everything in its surroundings. 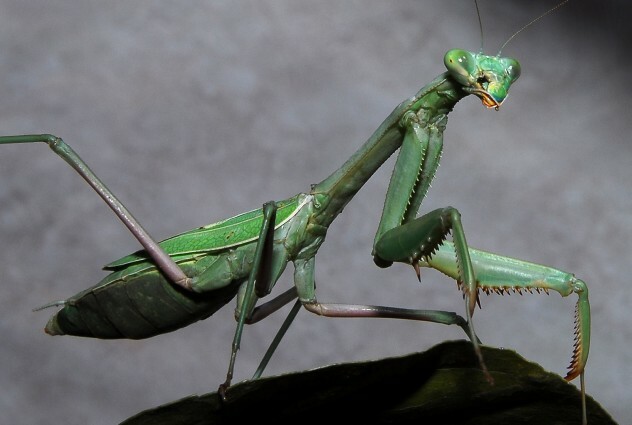 The praying mantis gets around this problem with an utterly unique ability to swivel its head around 360 degrees. This ability allows the Mantis to be aware of everything in its vicinity, both predators and prey—the latter of which it often eats headfirst. There are many different members of the flea family, but they all come from the order Siphonaptera. Fleas are miniature parasites that feed on the blood of some mammals, though they are best known for infesting cats and dogs. What makes fleas most interesting is their ability to jump incredible distances. 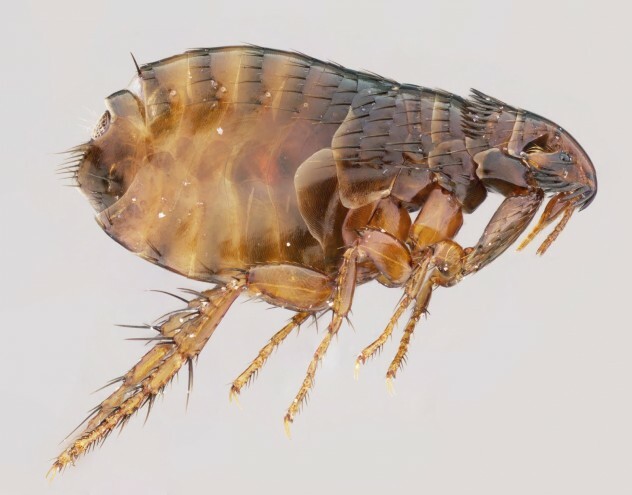 While your average human may be lucky to jump half of his or her height vertically, fleas have been known to jump as much as 100 times their body height. Scientists found that fleas have elastic pads on their feet made by a protein called resilin that allows them to jump incredible heights. For comparison, your average human is about 1.8 meters (6 ft) tall. If we could jump 100 times our body height, that would be 180 meters (600 ft). The walking stick, scientifically known as Diapheromera femorata, is a defoliator of trees in North America. But what these insects are most known for is not the damage they do to forests, but the unique way they hide from predators. 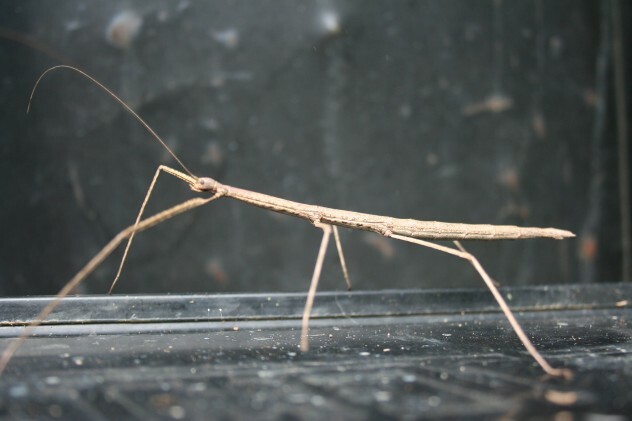 The walking stick’s entire body looks just like a stick. It is colored and shaped like a stick. Next time you reach for a twig, be careful—it might actually be one of these strange creatures. Schistocerca gregaria is also known as the desert locust, and it is one of the fastest insects in the world. 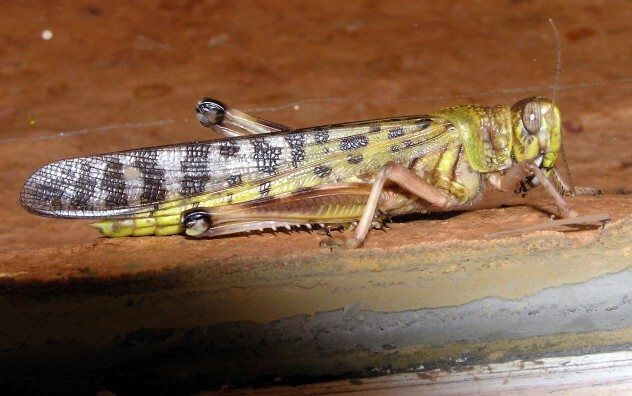 While it must be stressed that there may be faster insects, the desert locust is the fastest that has been clocked using a reliable study, hitting speeds of roughly 33 kilometers per hour (20 mph). Scientists believe that the locust’s wing deformation in its hindwings helps it maintain a constant angle that reduces drag, allowing for much more efficient flight, but scientists have been unable to mimic anything this efficient in their own systems. For comparison, your average (American) human often has trouble running a mile in 10 minutes, meaning this tiny insect can fly twice as fast as many people can run.